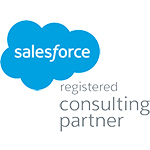 As the #1 CRM choice for businesses, Salesforce solutions offers the scalability that allows the global cloud computing platform to handle an estimated 50 million transactions daily. Whether you run a small business with under 10 employees, or you manage IT for a major Forbes' 500 corporation, Salesforce solutions have the potential to grow with your company, coordinate projects, cultivate higher quality leads and automate tasks more efficiently and effectively than ever before. The key word here is potential... Salesforce CRM solutions provide all the right tools you need to repair ineffective business processes. Take advantage of Sales Cloud® and Service Cloud® solutions, Community Cloud™ service, Pardot, and other Salesforce offerings. Openmind Technologies consultants team up with businesses around the world for custom Salesforce technology migration, data integration and implementation.